Book 2 received from publisher/ printer on February 1, 2017. Ben Beagle Rides, another adventure in rhyme about the happy bunny chasing Beagle Ben, just sold out first set of stocked books at Readmore Saturday so it will be time to deliver on Monday. Weather has been warmer so instead of cozy house of straw, many days Ben is perched on his tree root observing his domain and chatting with other dogs and the family as they go in and out. He came right in the house the day the books came and sat in Norris’s lap as I read him the story and showed his picture. Front Cover of “Ben Beagle Rides” written by Donna Finch Slaton and Illustrated by Gary Sanchez. 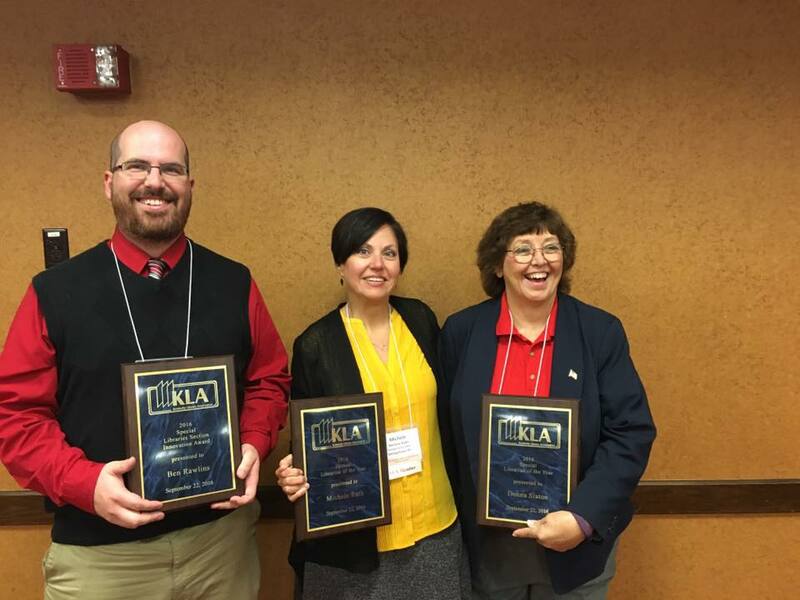 Last week was an exceptional week with lots of projects coming to completion just in time for me to attend the Kentucky Library Association Conference where an extra special blessing of being awarded Special Librarian of the Year for 2016 was a high point in a 40 plus year career of being a librarian. I shared the honor this year with ALA Counselor and Librarian at Georgetown Michelle Craycraft Ruth who I have come to know through several years of conference attendance and emails as a delightful young lady and an energetic professional. Proud for her that she is able to be mobile to represent our state on the national level and did not have to re-adjust to so many different library positions. Having been a volunteer in grade school, middle and high school, a student worker in college and public and prison libraries while raising a family, I continue to volunteer as librarian for the Historical Society of Hopkins Co. I was thrilled to have younger librarians acknowledge the work and years in this award, many who I have only known a few years. Growing old and still working is better than sitting still as long as I am healthy enough to help others.